A giant doll of Mazinger Z (a.k.a. Tranzor Z). A giant model of Mazinger Z (a.k.a. Tranzor Z)! Yes, the giant robot that represents the single greatest creation of Japanese culture at its peak. It sells for $650 USD. No, that’s no typo. Should I buy, or should I pass? 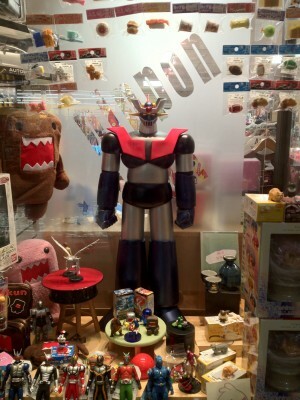 Does Marcos need a $650, 80 cm tall Mazinger Z action figure? Buy it! Buy it! Buy it! Buy it! Buy it! Buy it! Buy it! Tu sobrino quiere que se lo mandes de regalo. That’s too expensive. I think I saw the same Mazinger giant in an online shop called Private Import Japan This is the shop where I bought most of my collections of Mazinger Z.